Heat Transfer molding is an extremely accurate and efficient thermoset plastic injection molding process. 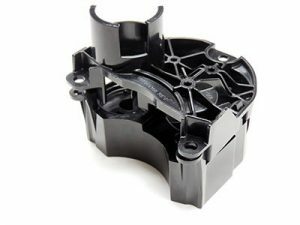 During the transfer molding process, a metered amount of plastic is loaded into a pot where it is held until the polymer has been melted to the specified temperature. After the material and the molds are heated, a plunger forces the material from the pot and into the mold cavities. Since the mold is also heated above the melting point of the plastic, the plastic flow of the material is unimpeded by skin effects and the molding process can be performed quickly. 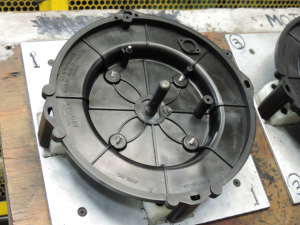 Transfer molding can be used to create parts from numerous thermoset materials. Thermoset materials differ from thermoplastics in that they cannot be re-melted. A chemical change takes place that “sets” the polymer when it cures rather than allowing the material to simply solidify from cooling. These characteristics make thermoset materials an ideal choice for applications which require a high level of chemical, temperature, or abrasion resistance. Popular thermoset materials used in transfer molding include epoxy, polyester, phenolic, and silicone-based elastomers. Heat transfer molding is also a very efficient process, as many aspects can be easily automated to increase throughput as volumes warrant. Because the amount of thermoset material is precisely metered, there is very little waste compared to compression molding processes, adding to the cost efficiency of heated transfer molding. 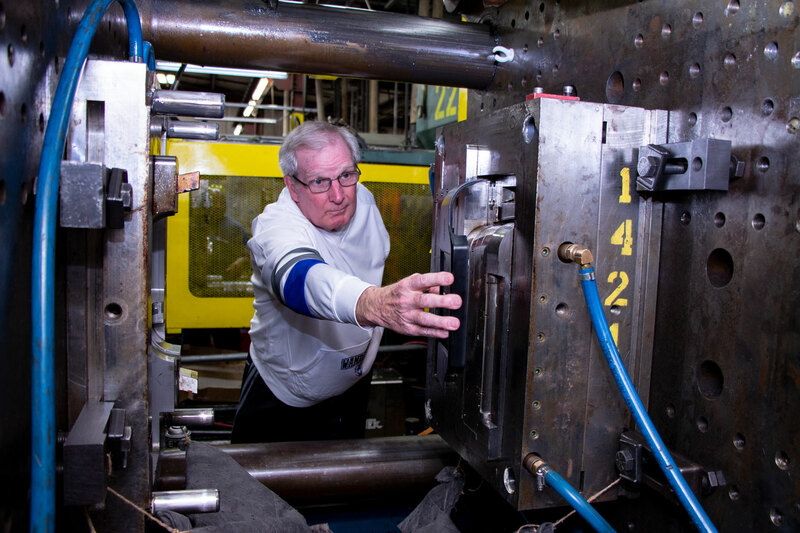 We can also provide any necessary secondary processes such as trimming, hot stamping, and packaging as needed to supply customers with a premium quality, turnkey manufacturing option for all of their molding needs. We are capable of answering all of these questions as well as any other inquiry related to mold or part design, the molding process, and other secondary finishing processes. Each aspect of the molding process, including tooling and mold design, mold fabrication, selection of a molding process, material selection, and secondary assembly methods, all play a critical role in the cost and quality of a product.